Now available at a special introductory price of $99 USD, marked down from a $199 retail price. February 20, 2018 - Having introduced their first audio plug-in at the 2018 NAMM Show, Soundtheory is now shipping GULLFOSS, an intelligent automatic equalizer that uses unique computational auditory perception technology to identify and resolve problems in the frequency balance of your signal. "Gullfoss is your own pair of Golden Ears", said Andreas Tell, Research Director and co-Founder of Soundtheory. "Not only does it solve a wide range of issues when mixing and mastering to help you get the best, most consistent sound possible, but it can also serve as a valuable resource to analyze your mixes and help you improve your craft." 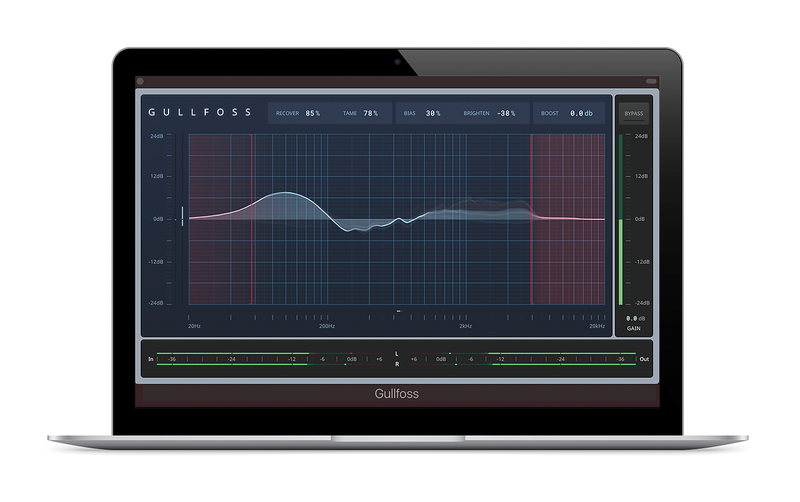 Gullfoss is now available for a special introductory price of $99 USD at www.soundtheory.com (regular price: $199.00). Soundtheory emerged from a long term research project in 2016 and is the brainchild of mathematical physicist Andreas Tell, who has been researching and working with sound for over 20 years, and Managing Director David Pringle. Soundtheory has developed exciting new and unique methods for realtime audio processing. Its highly advanced model of computational auditory perception opens up new possibilities of analyzing sound as perceived by human ears and of processing it without introducing any audible artefacts at all. Gullfoss is the first in a line of products that employ Soundtheory&apos;s technology and demonstrates that simplicity, innovative technology and incredible sound can work together in a product made for everyone who loves audio.